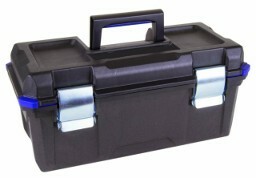 The carry case is a simple 19" tool box manufactured by Stanley. 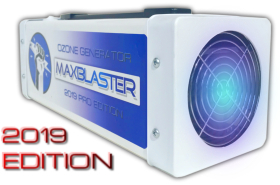 We package your MaxBlaster inside an anti-static wrap then seal it inside a cardboard box. 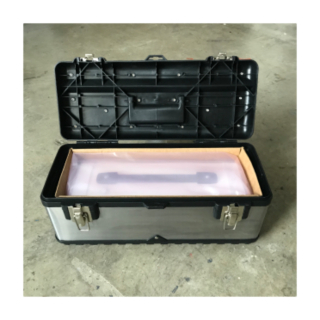 The cardboard box fits snug inside the carry case and gives your machine just the right amount of flexible protection. Keep your ozone generator sealed within the wrap during storage to prolong the life of the high-purity dielectric plates. And protect your investment from shipping to completion.